Provide overall leadership, oversight and management for all aspects of Financial Management and Support Services in World Vision Tanzania. This position is part of the Senior Leadership Team of the National Office, with a focus on ensuring accountability, stewardship, coordinating planning and budgeting processes, providing accurate financial data and developing financial strategy that best serves the National Office strategic and program objectives. Under Support Services, this position provides strategic leadership for Supply Chain, fleet management, ICT and Administration. • Provide strong and positive leadership to the Finance and Support Services Departments ensuring competent and motivated staff are hired and retained, providing efficient delivery of services. • Coordinate professional and personal development of Finance and Support Services staff through adequate orientation, on-the-job coaching, identification of learning, training needs and opportunities (e.g. in accounting, Sun Systems, procurement systems, ICT systems, grant management, risk management, leadership) and succession planning. • Model Christ – centered servant leadership and support spiritual development of his/her team. • Actively participate in the National Office Senior Leadership Team meetings. • Attend and actively participate in strategic regional meetings. • Facilitate National Director, Operations, Board and other non-finance staff in understanding and interpretation of financial statements. • Ensure partnership finance policies and procedures are understood by Senior Management, Operations/Technical staff, Communities, Local Partners and Board as appropriate. • Develop strong networks internally (other National Offices, Support Offices and partnership entities) and externally (other NGOs, banking entities, communities, etc.) through effective communication, relationships and twin citizenship. • Promote shared resource networks within the region, and the partnership. • Adhere to WVI key policy documents – mission, core values, and covenant of partnership. • Ensure adequate cost efficiency and effectiveness measures are in place and are being followed through. • Providing cost analysis, promoting benchmarks and making recommendations for determining effective resource utilization at all levels. • Contributing to the development of appropriate policies and procedures for procurement of goods and services. • In collaboration with other National Office Directors, advise the National Director on strategic resource acquisition and allocation in line with Regional Working Group /Virtual Investment Review recommendations approved by the Regional Leader. • Coordinate the planning and budgeting process and provide technical support, to ensure global and regional guidelines are met. • Review alignment of budgets between National Office, projects, grants, MyPBAS and Support Offices. • Control of National Office budget, cash flow and project funding, by providing timely information to budget managers, in collaboration with the Operations Leader. 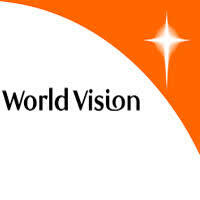 • Contribute to the development of WV Tanzania National Office strategic direction and priorities. • Design and manage systems, policies and procedures that provide appropriate levels of security and control of WV assets, resources and operations. • Coordinate the submission of timely, accurate and complete relevant reporting to the Partnership and to internal users. • Define and implement efficient and effective internal control systems. • Adhere to partnership policies, procedures and guidelines as stipulated in the International Financial Manual and other documents, including – but not limited to: grant compliance, year-end closing, carryforward, accounting and reporting. • Coordinate the timely and accurate submission of financial reports in Notes FFR (Field Financial Reporting) database. • Review the reconciliation of MyPBAS to FFR monthly with action plan for addressing outstanding items. • Provide regular analysis of Area Development Program (ADP)/Grant financial reports and timely feedback to ADP/Grant managers for decision making. • Ensure National Office Finance staff visit Programs/Projects to monitor accountability issues, follow up on implementation of audit findings and provide support as needed. • Manage appropriate financial systems and controls and ensure they are in place to avoid significant finance audit risk ratings, both at the National Office and project levels. • Coordinate management responses to finance audits performed to the National Office and projects are ensure they are sent on time to the Audit Department, and that finance related audit recommendations are implemented timely at all levels. • Coordinate adequate preparation for Global Centre and external audits. • Implement anti-corruption and fraud strategies. • Coordinate and ensure an optimal interface between the supply chain and business units for efficient customer service delivery. • Ensure WV staff and assets are secured, safe well maintained, oversee logistics coordination. • Ensure that WV provides quality hospitality services to staff and visitors. • Fleet Management; Responsible for vehicle procurement, management and maintenance. • Property Management; Ensure that staff have a clean, secure and hospitable workplace. • Ensure improved office/programs connectivity. • Facilitate and ensure preparation of and adherence to computer usage policies. • Ensure office disaster preparedness and policies updated to include new technologies, trends and threats. • Bachelor’s degree in Accounting, Finance or Business Administration, or a related field. • MBA Accounting and Finance, MSC Finance \ Accounting or Auditing preferred. • Has to be ACCA, CPA certified. • At least 10 years proficiency in managing Finance & Support Service, 5 years being based in Senior Finance Management. • Solid knowledge of accounting principles, financial systems, budget/cash flow monitoring and internal accounting controls. • Ability to solve complex problems and to exercise independent judgment. • Must be able to lead and manage a team. • Good working knowledge of computerized accounting systems, preferable Sun Systems & Vision. Must be computer literate in Microsoft Office programs. • Knowledge of government grant regulations and financial reporting requirements preferred. • Good oral/written and interpersonal skills. Able to work on a cross-cultural environment with a multi-national staff. • Work environment: Office-based with travel to the field. • Travel: 25 % Domestic/international travel is required.